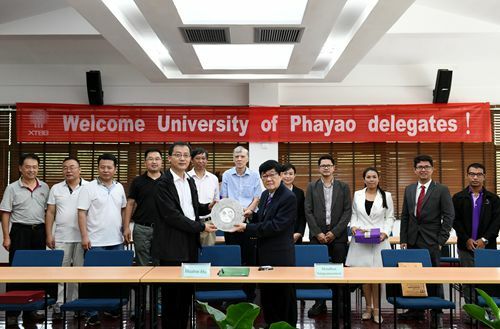 A memorandum of understanding (MoU) was signed between University of Phayao and Xishuangbanna Tropical Botanical Garden (XTBG) On June 19. The two sides will have deep cooperating from 2018 to 2023, with the agreement. The MoU encourages the exchange of school, students, academic information and materials in the belief that the research and educational processes at both institutions will be enhanced and that mutual understanding between their respective school and students will be increased by the establishment of such exchanges. 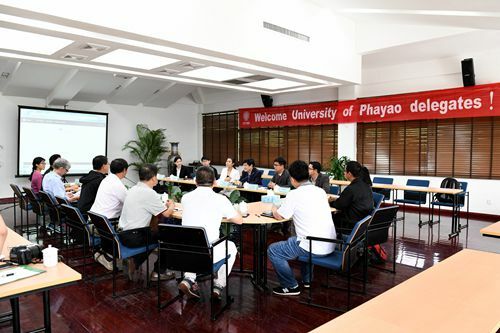 The two sides will promote education of graduate students, exchange of academic information and materials, organizing joint research programs and investigations, holding joint conferences and workshops, etc. As representatives of the two sides, president Mondhon Sanguansermsri of University of Phayao and XTBG deputy director Hu Huabin signed the MoU. They also exchanged gifts. During their stay in XTBG, Dr. Mondhon Sanguansermsri and his companions visited the research facilities and living collections of XTBG. They spoke highly of XTBG’s achievements in scientific research, biodiversity conservation, public education, and supporting platforms.